If you go high enough in New England in May, expect to find snow. The Presidentials, especially Mount Washington and Tuckerman Ravine, have plenty. Patches linger on Katahdin and a handful of other high peaks. You’ll also find patches of snow on shady slopes and trail corridors, especially on north-facing slopes. With the exception of Mount Washington, however, snow seldom prevents hiking—it just makes it more challenging. Post-holing through rotten spring snow is arduous and wet, especially if you’re not wearing gaiters. It’s also more fatiguing to walk through mushy, packed-down snow than on a dry trail. A large enough snow patch could potentially obscure your trail, though this is unlikely—well-trod paths are usually established by May and cairns and other route indicators are easy to follow above treeline. You can also expect to leave the lush greenery of lower elevations behind. All that jungle-like, freshly leafed-out forest you hiked through at the lower elevations? At higher elevations (approximately 3,000 feet and up), it will likely be replaced by bare birch branches and a forest understory in its first throes of waking up for the season. Trees and plants leaf out later at higher elevations because it’s colder. In May, icy cold conditions are always possible, especially if there’s a strong wind whistling through the empty branches. Carry adequate gear to handle potential wet and near-freezing cold. In terms of recommended early-season, high-elevation hikes, here are a few, excerpted from my book AMC’s Best Backpacking Trips in New England. Bigelow RangeBigelow Mountain creases the landscape of western Maine, a long, rocky ridge dotted with peaks and far-reaching views. At lower elevations, enriched soils create habitat for abundant sugar maples. In spring, they form a lush, emerald canopy—and are joined by a rich and diverse understory of ferns and woodland flowers. Come experience the full spectrum of 3,000 feet of elevation change, climbing from the mountain’s base to its dramatic high point atop 4,145-foot West Peak. From Stratton Brook Pond, follow the Fire Warden’s Trail to the ridge, south on the AT, returning via Horns Pond Trail. 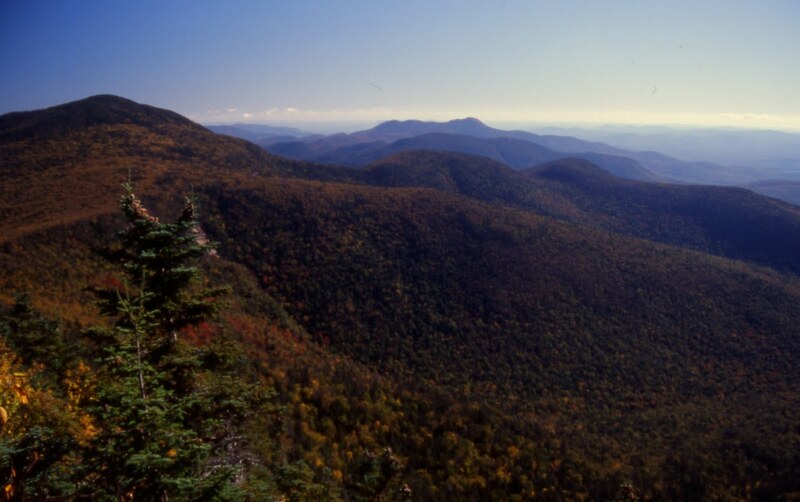 The Sandwich Range rises as the southern front of the White Mountains, a rugged mountain spine uncrossed by road for more than 25 miles. Lofty summits pierce the sky, including six 4,000 footers. And the wild heart of these mountains is protected within the 36,000-acre Sandwich Range Wilderness. 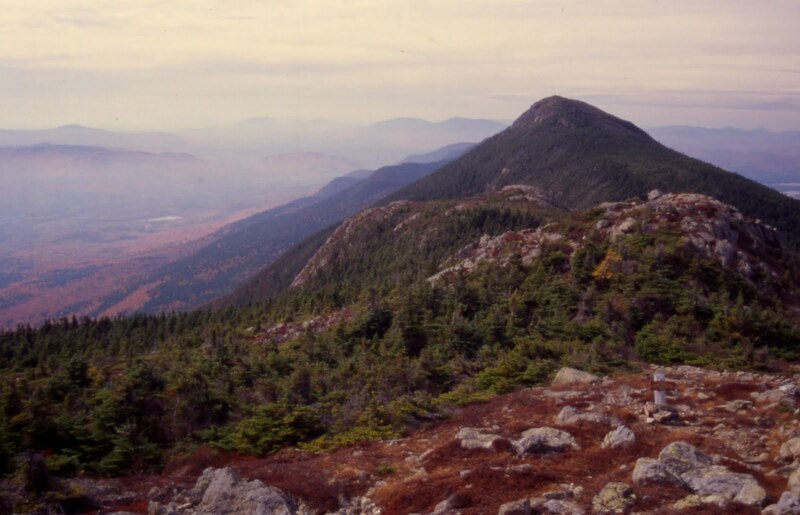 Near its center, Mounts Whiteface and Passaconaway encircle a deep valley known as the Bowl. Exciting ridgeline trails and far-reaching views are the highlights of this ring around the Bowl. From Route 113A trailhead, multiple loops and variations are possible. Blueberry Ledge Trail and Square Ledge Trail recommended. 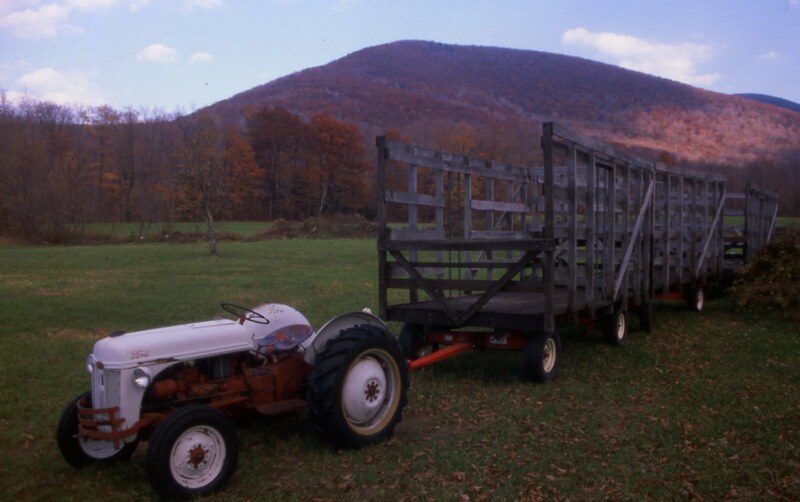 Mount GreylockIn the rolling hillscape of west Massachusetts, 3,491-foot Mount Greylock stands alone, an isolated massif carved by deep valleys and awash in a sea of diversity. A loop around the peak, from base to summit, experiences the full range of the mountain, including old-growth forest, spattering waterfalls, and soaring vistas. From the Hopper trailhead (pictured), follow the Hopper Trail, AT, and Money Brook Trail on a counter-clockwise loop.